Bonjour Makeupnuts! My May Topbox finally arrived! After seeing some pretty nice previews of other’s May Topbox, I was getting impatient! It seemed like it took forever to get here! I opted for the regular May Topbox. I was waffling between getting Benefit Brow Tint prive box or the regular Topbox. I am happy with my choice for this month though. I can grab the Brow Tint at Shoppers next month maybe. In celebration of Earth Month, we received our products in a purple organza bag instead of the regular tube. Topbox will be donating the savings to the World Wildlife Fund. I love animals so I think this is pretty great. I kind of prefer this option. I have too many Topbox tubes kicking around. I think I will find a use for them but so far I have only repurposed about four of them. I did give some to my nephew for his Legos and other toy stuffs. Otherwise I have about 5-6 tubes kicking around in my office/spare room at any given time. Time to find some DIYs for them! So what was in the cute little purple bag? I was totally stoked to see this in amongst the samples. It is one of Benefit’s new releases. The packaging on these Hydrating Lip balms is gorgeous. Too bad there wasn’t more balm inside. Sad face. Posiebalm is a very very sheer peachy pink. It didn’t really show up on my lips at all. But it was pretty hydrating. My lips kind of felt ‘slippery’ for quite awhile after applying this. In addition, we received a 2000 Optimum points offer for Shoppers Drug Mart if we purchase a full sized Hydrating Lip Balm by June 14, 2014. While I absolutely love the packaging, I don’t think I would be spending $22 on such a sheer sheer lip balm. Kinetics Nail Colors in Splatter It! Last year I was all crazy for black and white glitter polishes. Where were you Splatter It? I love layering them over cream polishes. I have several similar polishes to Spatter It! but I am eager to see how much glitter it puts out. I like the packaging on this sample, the little pump on it is fantastic. The product itself it very thin but it sinks into the skin pretty fast and my skin felt pretty smooth afterwards. It has a slight lotion-y smell to it but it isn’t overwhelming. Lancôme Hypnôse Lashes in 01 So Black! 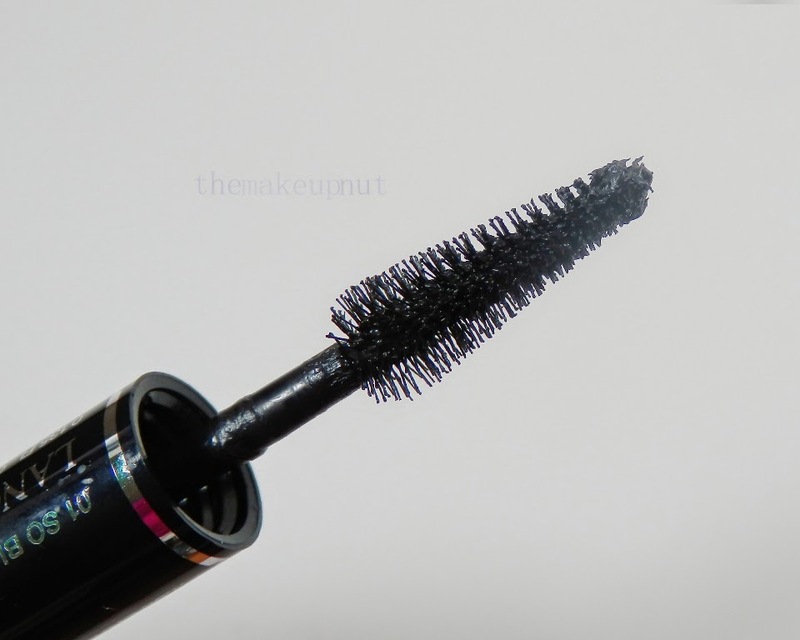 I have always wanted to try a Lancôme Hypnôse mascara! Yay! The brush looks pretty cool. It is a large conical brush. I don’t think I ever used a conical shaped brush like this before. It is supposed to increase lash volume up to 6 times. We also received an empty Lancôme sample container with an accompanying card. We can take the jar to Hudson’s Bay store and Lancome will give us a 10 day supply of a Lancome foundation. Some mascara, a little Benefit and polish; not a bad box bag this month Topbox. Not bad at all.